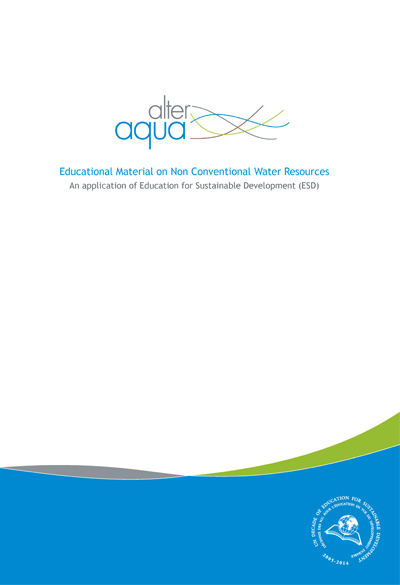 The Alter Aqua educational material is the result of a fruitful cooperation of a committed team from Greece (MEdIES) and Malta (NTM) with the ambition to raise awareness and sensitise the educational community on the very crucial issue of Non-Conventional Water Resources (NCWRs) across the Mediterranean, and particularly in the Maltese Islands. The material has been developed based on the principles of ESD. It aspires to be a flexible tool in the hands of the keen educator aiming to develop imagination, curiosity, creativity, observation, skills and knowledge to his/her students, as well as an attitude of a “new water ethic” in line with sustainability. Find here a description of the scope and contents of the material and download it in PDF files.